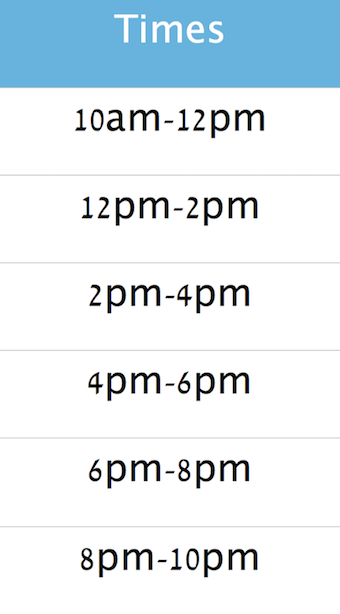 At Float for Health, we have 6 different booking times available. Appointments are made every 2 hours starting at 10am. This is due to the fact that we need to ensure that our sanitary levels are kept to the highest standard. After each float we need enough time to clean the rooms and thoroughly run the pumps for 20minutes, this allows the water to fully cycle 4 times (As it goes through two sets of filters 4 times) after every use. Please note that all appointments should be made at least 4 hours in advance. However, if your perferred booking time for a session runs over two periods(Example 3pm - 5pm), please do not hesitate to contact us, as our aim at Float for Health is to meet every possible demand of our customers, we will be happy to arrange and adjust timings so that we can prepare a room for your floating needs. Floats before 10am and after 10pm can also be scheduled, however a booking appointment is required 24 hours in advance, as well as an extra fee (45RM). Feel free to use our safe and easy to use booking platform below, where you'll be able to to see the availability & pay in advance to secure bookings. Please note that a deposit will be charged for making an appointment via our booking system. Deposits will only be refunded if customers notify cancellation 10 hours before appointment time. You will receive a confirmation email after booking. If you do not get this email, there was a technical error and your booking did not go through. Once you are booked in please be sure to read our guide on floating in the First Timer's Section, this will help you prepare for your float in advance, so you'll be able to get the best out of your first float.